The field of digital marketing is fast changing and highly competitive and in such an industry you can’t just take a one short course and expect to stay up to date with the latest best practices, tools and trends. eLearning is the best way to deliver digital marketing training, as content can keep pace with the latest industry developments. One problem many digital marketers encounter here, however, is that there are so many courses and sources of information available. It’s crucial for the success of a digital marketer to identify the trends that are important and focus on developing a strategy to get ahead. 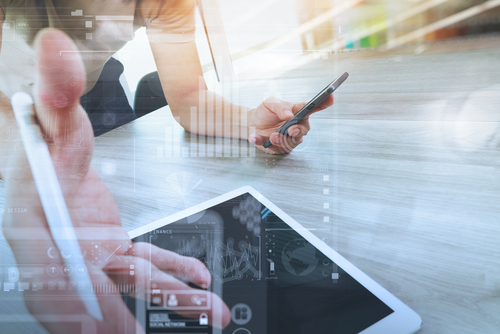 Let’s have a look at some current digital marketing trends and points to remember, plus training providers that can help you gain and maintain an edge. If you’re not yet aware of the importance of mobile marketing, then you have some catching up to do. More and more internet traffic is coming from mobile devices – a trend is set to continue over the next few years. If you are not optimising your online marketing campaigns for mobile, you are failing to cater for a very large number of potential customers. This means actively targeting mobile devices (based on location if relevant), optimising websites, emails, e-commerce checkout, etc for mobile and separately analysing the results of your marketing campaigns on mobile devices. 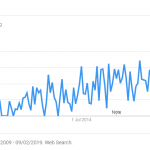 Yes, Google is still by far the most important search engine and even though other search engines are working to catch up, there likely won’t be a major shift in the search engine landscape in the near future. As a digital marketer you should never put all your eggs in one basket though. Look at other ways of targeting customers, such as through Facebook, Twitter, Pinterest, Instagram, authority content marketing, email marketing and paid advertising. It’s not only important to reach potential customers, but also to convert them into actual customers. Optimising conversion rates can have a very high return on investment. Sometimes, CRO through just a small tweak in design, navigation or calls to action can produce a significant boost in enquiries or sales. If you can become a CRO expert, marketing clients may well flock to you. Being good with Excel is a definite plus for any marketer, but today, spreadsheets alone don’t suffice. Marketers need to be able to work with a number of digital marketing tools, and possessing some basic programming skills is a definite advantage too. Becoming comfortable with some of the most popular software for SEO, social media management and content marketing can make you not just more employable, but much more time efficient in your job. There is a huge number of digital marketing courses and guides available today, both online and offline. Unfortunately, many of them are not all that up to date or don’t teach enough actionable skills. Before committing to any training you should perform extensive research on the actual contents of the training and search for legitimate reviews or testimonials. 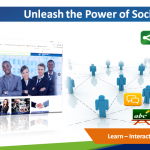 Online learning is the best solution for most marketing training. It’s cheaper, can be taken at any time from wherever you have internet access and allows you to progress at your own pace. For some types of training, however, it may be beneficial to opt for instructor-led classroom training instead. If you are looking for a digital marketing training provider or want to develop your own courses, have a look at the training and elearning experts that are listed below. The company has been active in the digital marketing industry since 1999. Besides providing training they work with companies around the world to improve their digital marketing efforts. All training courses are hosted by their in-house marketing experts at the company’s Reigate office or at 1 of their training centres in central London. Courses can be tailored to better suit your organisation’s needs. For more information about Jelly Fish’s training services at: http://www.jellyfish.co.uk/training-courses/. The Digital Marketing Institute is an international digital marketing training provider that offers short marketing courses on topics such as search marketing, mobile marketing, social media and email marketing as well as professional diplomas, postgraduate diplomas and a Masters degree in digital marketing. Courses can be taken online or organised at your organisation’s premises. Find out more at http://digitalmarketinginstitute.com/us. Setting up your own eLearning digital marketing training program can be challenging. For such a program to be a success it needs to be built on a technically robust platform with a user-friendly interface and the course design needs to be educationally sound. An eLearning consultancy can help you with setting up an in-house online digital marketing training program. 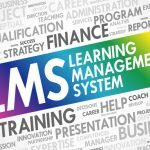 GuyKat Solutions is a UK based eLearning consultancy that helps organisations with developing new eLearning courses, converting traditional classroom training to eLearning and setting up user-friendly learning management systems. The company prides itself on not just understanding eLearning technology, but also being experts on teaching theory and complex business processes. Find out more about GuyKat Solutions’ services at http://www.guykat.com/. 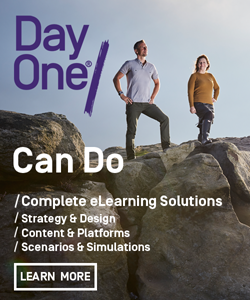 If you can’t find any off-the-shelf courses that meet your organisation’s learning needs or you want to develop your own digital marketing eLearning courses that you could offer commercially, you may want to partner with an eLearning content development provider. An expert in eLearning content development can help you develop interactive, engaging courses that achieve better retention and are relatable to real-world situations. Yardpartners is a digital agency that provides bespoke eLearning content development services. They work with organisations across all sectors, including the education sector. For more information about Yardpartners’ services, go to: http://www.yardpartners.com/services/#bespoke-e-learning/. Find out more at http://www.onlinemarketinginstitute.org/. 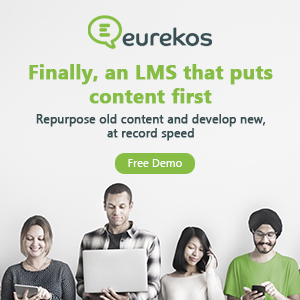 Find out more about eFront LMS at http://www.efrontlearning.net/.